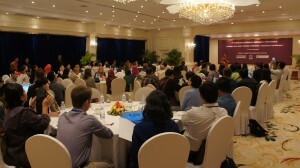 The 2015 Peace Practitioners Research Conference (PPRC) brought together more than 120 peace scholars and practitioners to critically reflect on lessons learned in the areas of mediation, negotiation and dialogue from current peace processes in the Asia region. 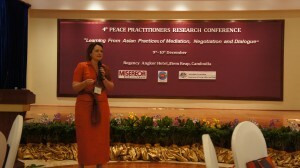 What are some of the key innovations in regards to mediation, negotiation and dialogue in the Philippines and Myanmar? How can we distill some core ideas or principles from these experiences, especially in relation to the role of inclusivity in peace processes, the meaning of local ownership and the insider/outsider roles of the mediator? How can these points of learning be problematised? What are the key challenges and ways of overcoming them? 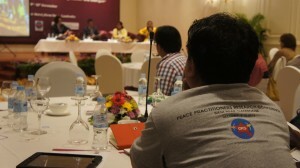 To engage these questions, participants heard from a range of voices active in both countries – from outside facilitators to conflict party negotiators, ceasefire monitors, transition commissioners and community dialogue facilitators. 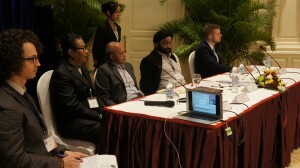 The conference provided a rich field for analysis, debate and learning, with a wide range of participants using practical examples from the region to articulate, refine and engage different perspectives on dialogue, mediation and negotiation in the Myanmar and Philippines peace processes. 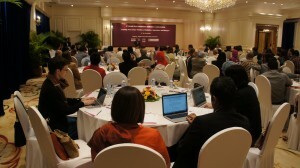 Below you’ll find the final agenda, presentations and links to videos of the speeches. 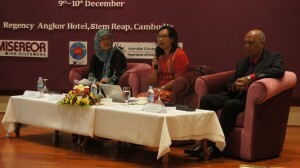 To view more photos of the event, please visit our Facebook page. To download a presentation featuring the main themes raised during the conference, click here. Visit the links below to watch the speeches or click here for the final agenda. Reflecting lessons from some of the worlds most complex conflicts, “Dialogue in divided societies: Skills for working with groups in conflict” is an invaluable resource for stimulating dialogue and navigating sensitive topics with a wide range of groups. Centre for Peace & Conflict Studies Centre for Peace & Conflict Studies shared a post. Strengthening strategic interventions into armed conflict with the overall goal of reaching sustainable and positive peace in the Asia region.